how are you doing with your resolutions? well, i have actually forgotten the name of the website that is supposed to be keeping track of my progress. does that tell you how i’m doing? i do want to report that now that i’ve completed my backlog obsession with friday night lights, i’ve gotten back to reading. books. 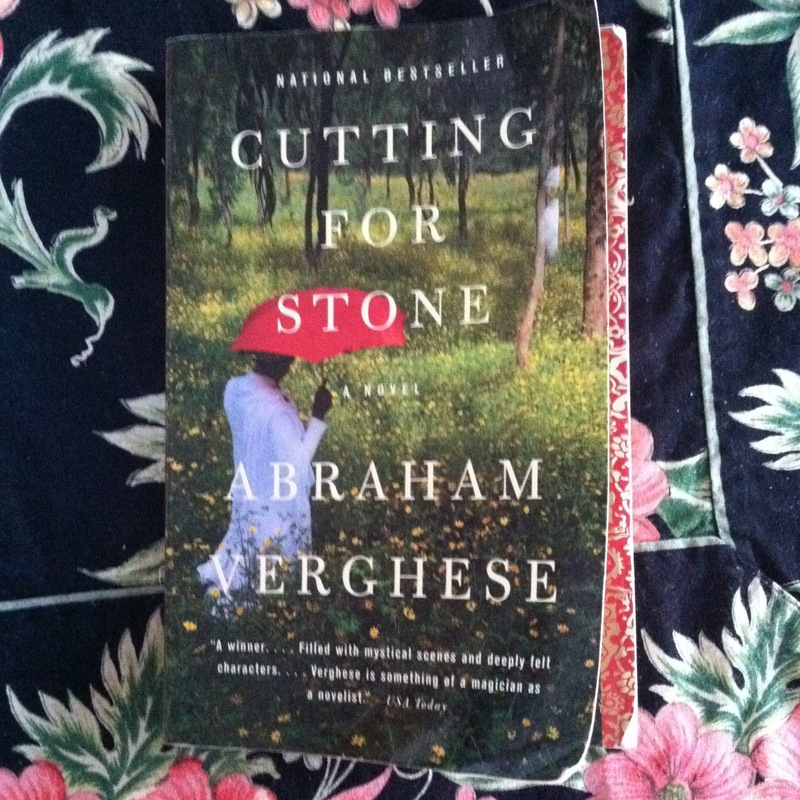 my first book submission to you for 2012 is Cutting for Stone by Abraham Verghese. i really loved this book. very detailed and in depth. it has a lot going on so i pretty much had to set the book down and digest for a few days before picking back up again, which can be good. i started this book at the end of 2011 and it took me a while to finish. i have to make a comment about the universe. i did a lot of labor, birth and breastfeeding reading for doula certification in 2011. i kept trying to work fiction into the mix in between my required materials. all the fiction books i picked randomly had a main character who was a midwife or obstetrician. i get it universe. i’m on the right path. even when i was trying to get away from reading about the ladyparts i couldn’t.